Piquing customers’ interest in an energy-efficient home is just the tip of the iceberg when it comes to encouraging upgrades. Many programs struggle to reach their upgrade goals because they allow initially excited customers to lose interest. By incentivizing specific actions for homeowners to take, however, program administrators can motivate customers to undertake upgrades. Successful residential energy efficiency programs have found that incentivizing specific actions or energy savings levels has improved participation and conversion rates. Following are a few examples of how programs have emphasized and incentivized energy-saving actions with positive results. When Michigan Saves launched its neighborhood “sweeps,” the program focused on maximizing the number of participants. 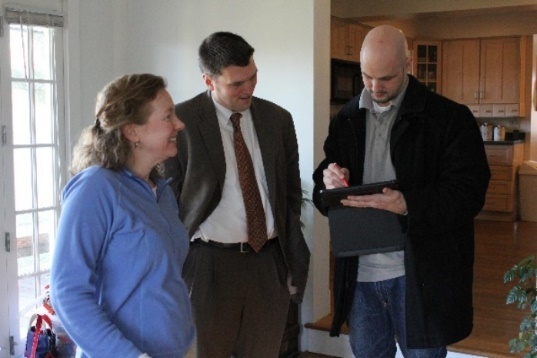 Door-to-door canvassers began conversations with homeowners emphasizing the free compact fluorescent light bulbs, sink aerators, and showerheads that came with participating in the program. Contractors would then try to market insulation, air sealing, duct work, furnace replacement, and other expensive measures with minimal success. Program administrators decided to change their strategy to help homeowners achieve the target of a minimum 15% energy savings per home. The program modified both its messages and incentive structure to drive action toward that goal. The emphasis in homeowner conversations and incentives shifted from free items to more comprehensive energy upgrades and led to more than 30% of eligible homes undertaking more effective upgrade measures. 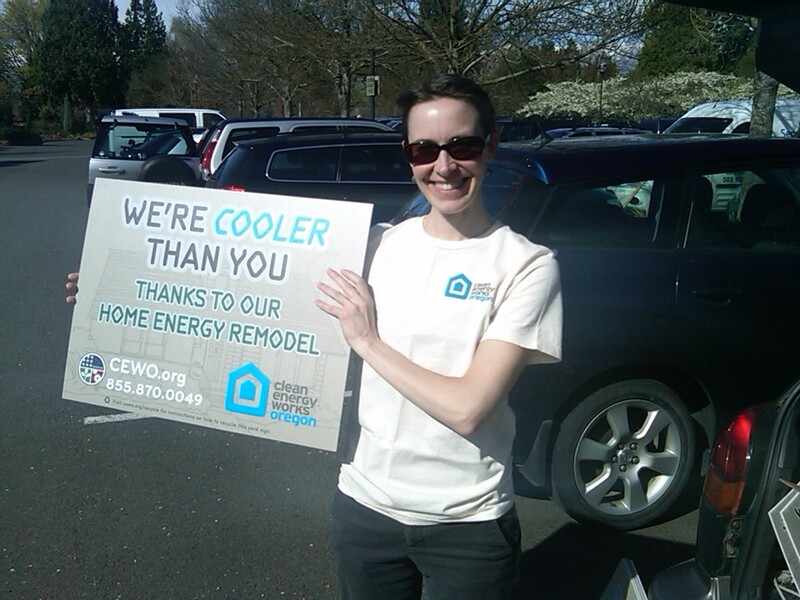 The initial goal of Enhabit (formerly Clean Energy Works Oregon) was to achieve at least 15% energy savings in customers’ homes through upgrades. To help homeowners reach that goal, the program offered rebates based on how much energy their projects saved: $500 for 15% energy savings, $1,000 for 25% energy savings, and $1,500 for 30% energy savings. These tiered incentive levels led 85% of Enhabit customers to reduce energy use by more than 30%. Recognizing that the concept of home performance was relatively new in Cincinnati, Ohio, the Greater Cincinnati Energy Alliance (GCEA) promoted low-cost energy assessments through its contractors to generate interest for the program. GCEA found that a high percentage of homeowners who took advantage of the assessments actually had no intention of proceeding with a home energy upgrade. In response, GCEA’s energy advisor called customers who weren’t completing their assessments or upgrades to explain the benefits and find out why the customer didn’t follow through. Of the customers contacted, 50% who had completed assessments followed through to complete energy upgrades. GCEA increased its conversion rate from home energy assessment to upgrade to 40%, thanks in part to an incentive program with the City of Cincinnati that provides homeowners up to $2,000 for energy efficiency improvements. Discover more insights on incentivizing home energy upgrades by visiting the Program Design & Customer Experience – Make Design Decisions handbook for step-by-step instructions and program examples.